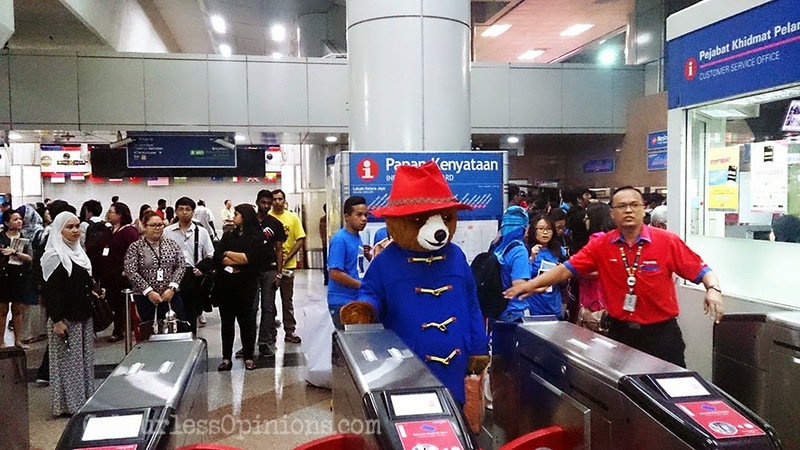 Paddington Bear is in Malaysia, from London to KL! Paddington has arrived ahead of the Malaysia release of his feature film (11 Dec.) and it seems that he has quite a lot of fans around here. 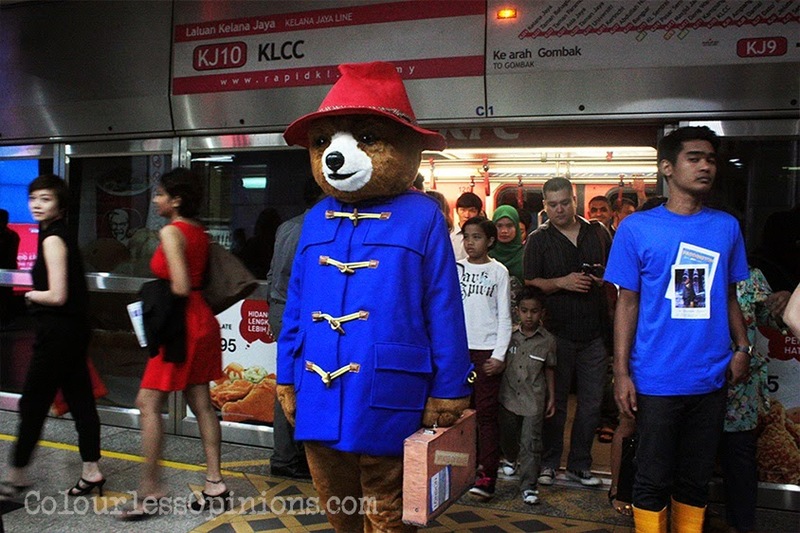 Named after the popular station in London, Paddington has made a journey around Kuala Lumpur via the LRT train from KLIA to KL Sentral and then finally to Suria KLCC to celebrate the release of his film in Malaysia. 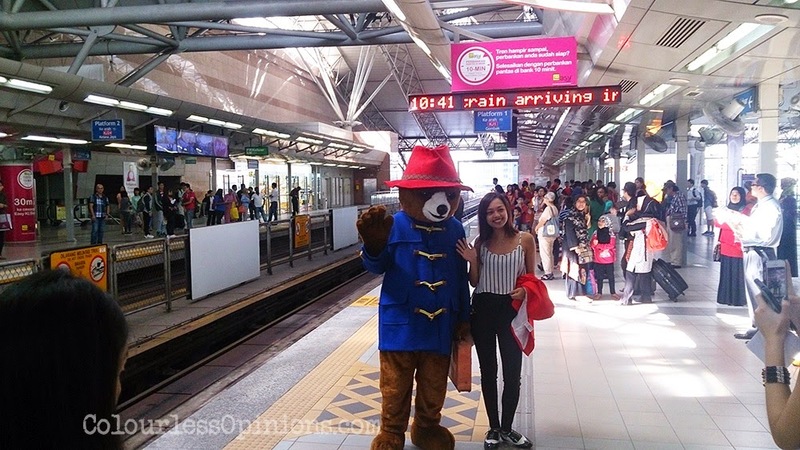 The cuddly 5-foot-5 Peruvian-English bear, with his iconic blue coat, red hat and suitcase, was instantly recognisable as the locals approached him for photos, high fives and hugs during his trip. Before heading to the TGV cinema at Suria KLCC for the media screening of his film, Paddington had a delightful English breakfast at Harrods Cafe. 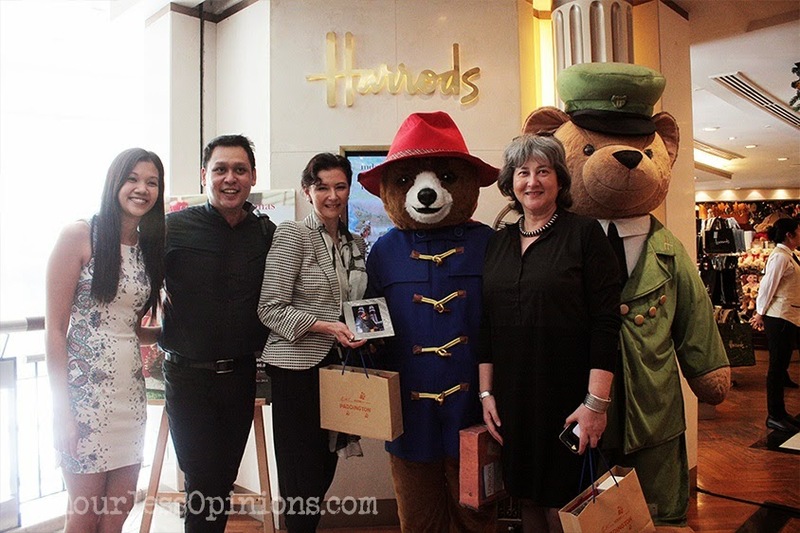 On the way up to TGV KLCC, Paddington also stopped by Harrods World Signature & Tea Salon to meet some fellow bears and friends over there. Harrods will be having all sorts of Christmas & New Year specials, menus and gifts for sale. Be sure to check them out at their outlets located at Suria KLCC or KLIA. 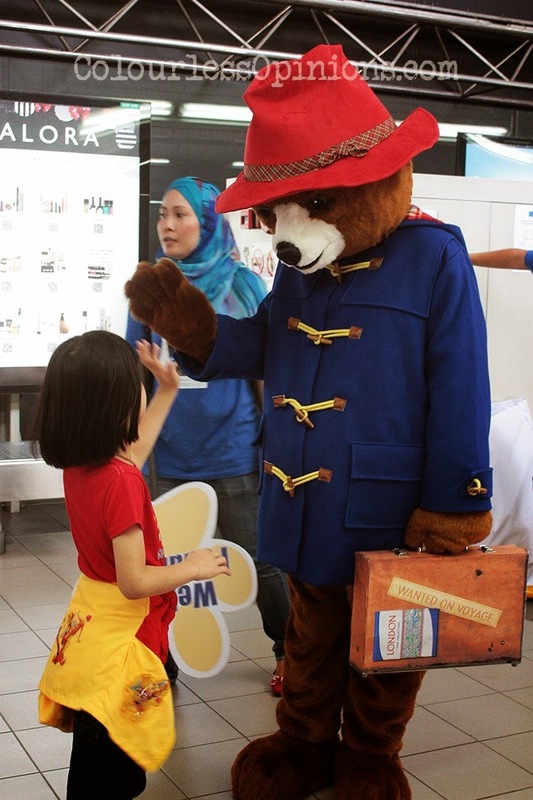 Paddington then had road trips around various locations in Malaysia to meet and greet new friends. Paddington the movie is now showing at local cinemas nationwide. Directed by Paul King and stars Ben Whishaw and Nicole Kidman, the film is about a young Peruvian bear with a passion for all things British who travels to London in search of a home. Finding himself lost and alone at Paddington Station, he begins to realize that city life is not all he had imagined, until he meets the kind Brown family, who offer him a temporary haven. It looks as though his luck has changed until this rarest of bears catches the eye of a museum taxidermist. My review on this film is now available, click here to read it.